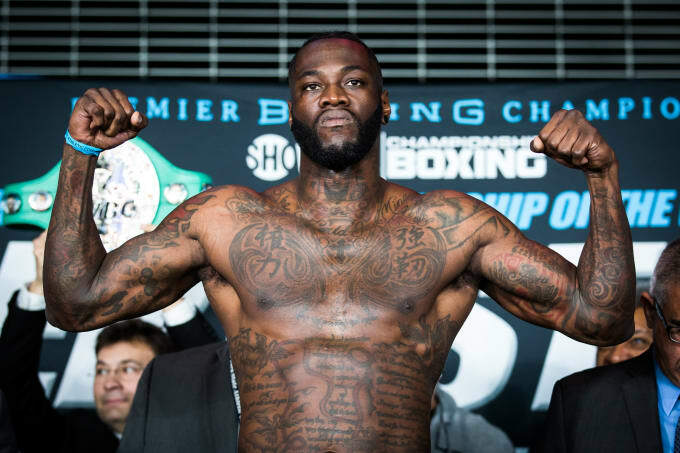 WBC heavyweight champion Deontay Wilder 40-0-1 (39) has revealed that his immediate rematch with Tyson Fury 27-0-1 (19) is close to being signed. Wilder held Fury to a draw with two late knockdowns in their thrilling December clash at the Staples Center in Los Angeles. And in a further revelation the ‘Bronze Bomber’ said he is ready and willing to face unified heavyweight champion Anthony Joshua 22-0 (21) once he gets past Fury. Speaking to talkSPORT ahead of the NFL Super Bowl in his home state of Atlanta, Wilder was confident that the Fury rematch would go ahead – but it won’t be happening in the UK. “Most definitely, it’s definitely going to happen again,” he said. “Unless Fury backs out of it, or anything of that sort of nature. But, to my understanding, as of right now everything is good. “It’s looking like maybe Vegas, maybe Barclays Center in New York – who knows? “It will definitely be back here, our pay-per-view prices are just way higher than over in the UK. You guys pay only like $25, but we can go from $50 to $100 easy and that’s with everything! Last year Wilder and Joshua engaged in very public negotiations for a four-title unification bout that eventually fell apart. But the undefeated American is confident the fight will eventually take place and says he is willing to travel to the UK to make it happen. “If he is ready, I am ready,” continued Wilder. “Like I said, he gotta be fair, it’s got to be right down and that is the thing about it. “They thought they was going to be the only people and everybody has to abide by their rules and rotate around them.